careful scissors sharp: like a kid in a book shop? like a kid in a book shop? 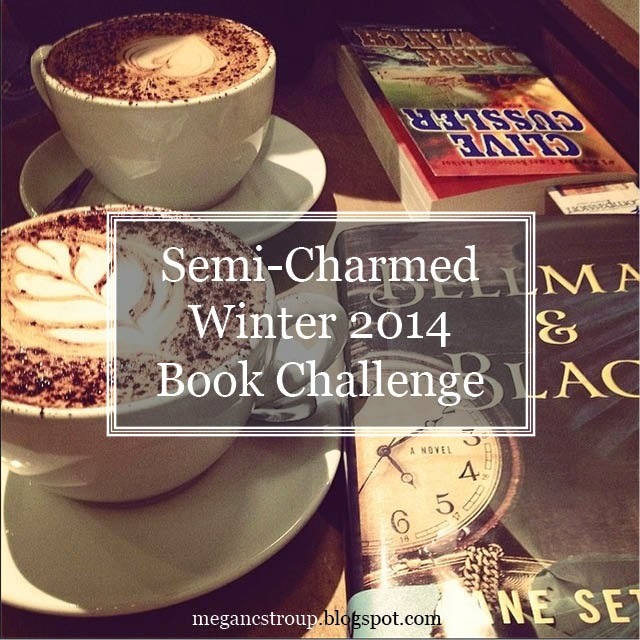 The Semi-Charmed Winter 2014 Book Challenge is about to commence! I'm very excited, since I didn't manage to participate in the summer one and I really missed it. This challenge seems to be the main motivator for me to keep reading (although I have recently joined a lovely book group so that's been helping too). Since the challenge was announced, I've been scouring the internet to find contenders for the categories that I didn't already have on my bookshelf. Here are my ideas, although I can't promise that these decisions are final! 5 points: Freebie! — I’m leaving this one open at the moment, since I’m hoping to read one of my book group books for it, and we haven’t chosen the next selection of books yet! 15 points: Read the first book in a series that is new to you. — The Maze Runner, James Dashner (384 pages) or, and I’m slightly ashamed to admit this, Anne of Green Gables, L. M. Montgomery (280 pages). My eldest daughter has just finished reading this and is adamant that I should read it too. 15 points: Read a book written by a local author. — The Yellow Eyes of Crocodiles, Katherine Pancol (447pages) (She's French. And this was a hard topic to find a book for. Yet another reason to move back to Scotland, methinks). Stopping by via the linkup. Thank you! It's the one I'm most excited about - can't wait to start!